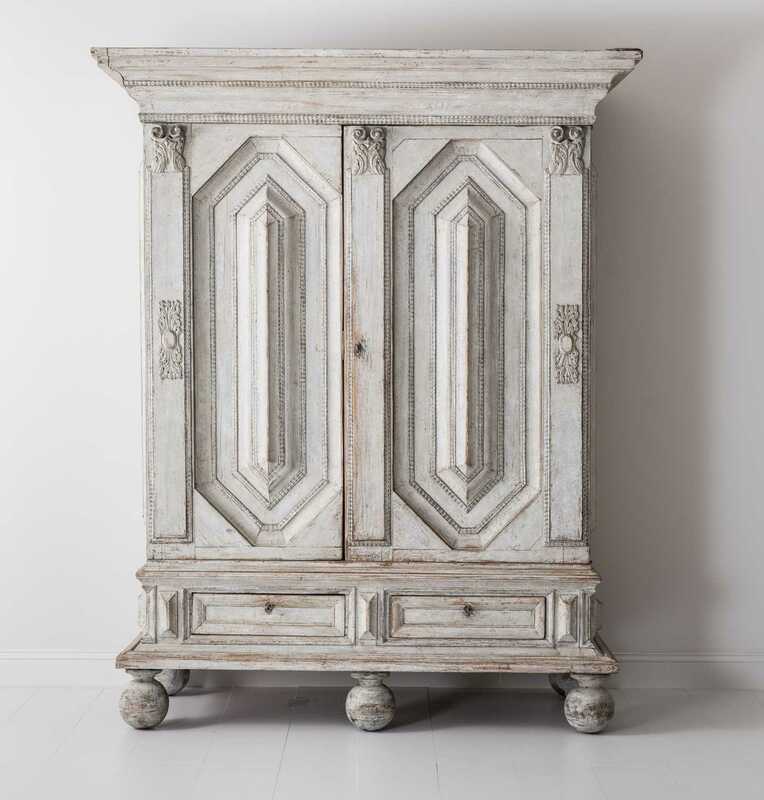 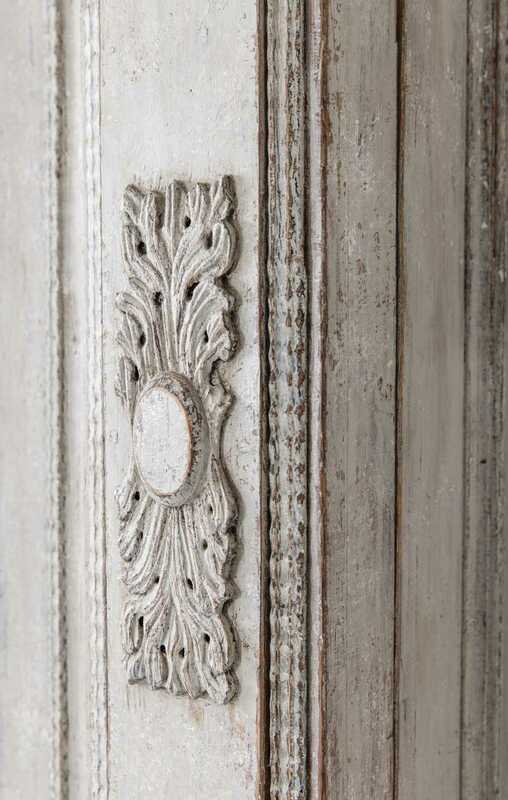 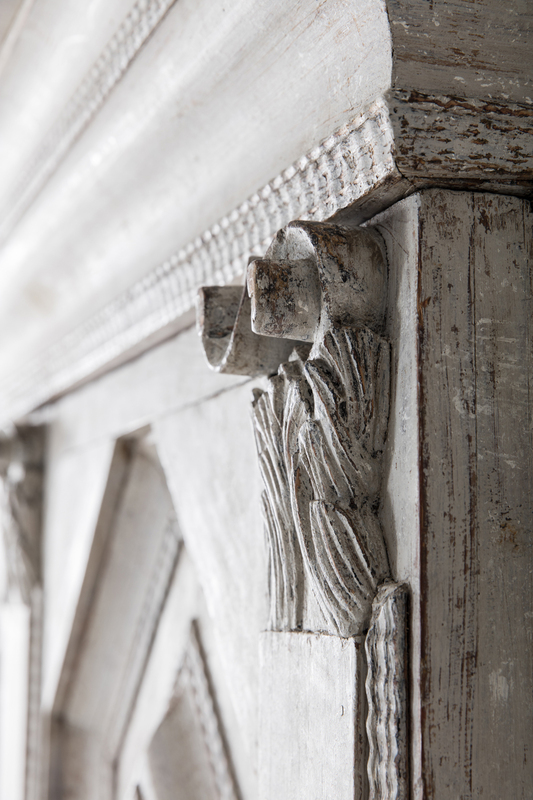 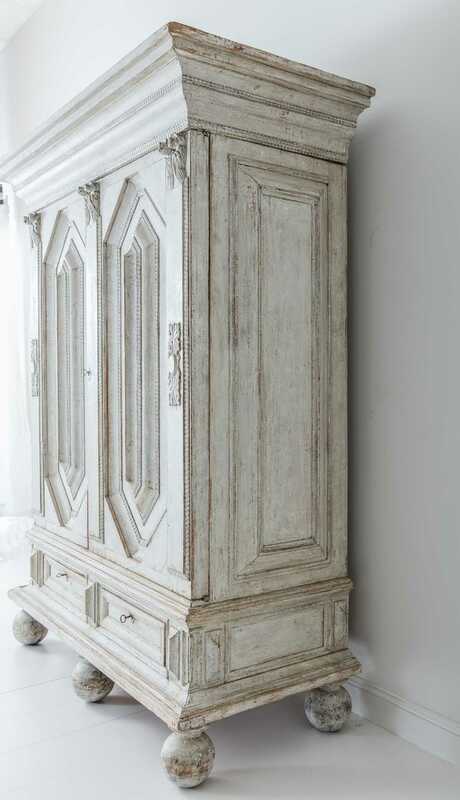 18th Century Swedish Baroque Period Armoire Cabinet | Maison & Co.
A monumental and richly carved Swedish armoire or linen press cabinet from the Baroque period with handsome ball feet and original hardware, locks, and keys, circa 1750. 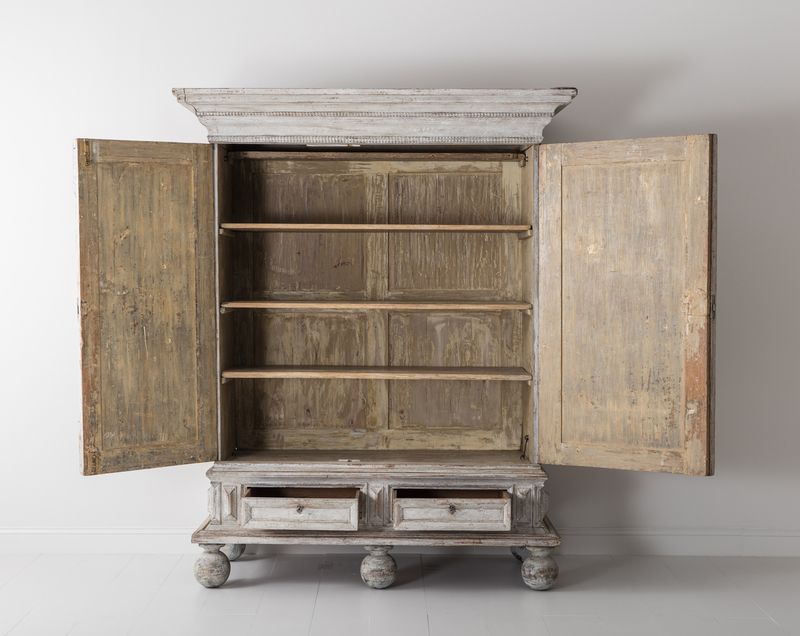 The large doors sit above a pair of drawers and open to reveal four internal shelves. 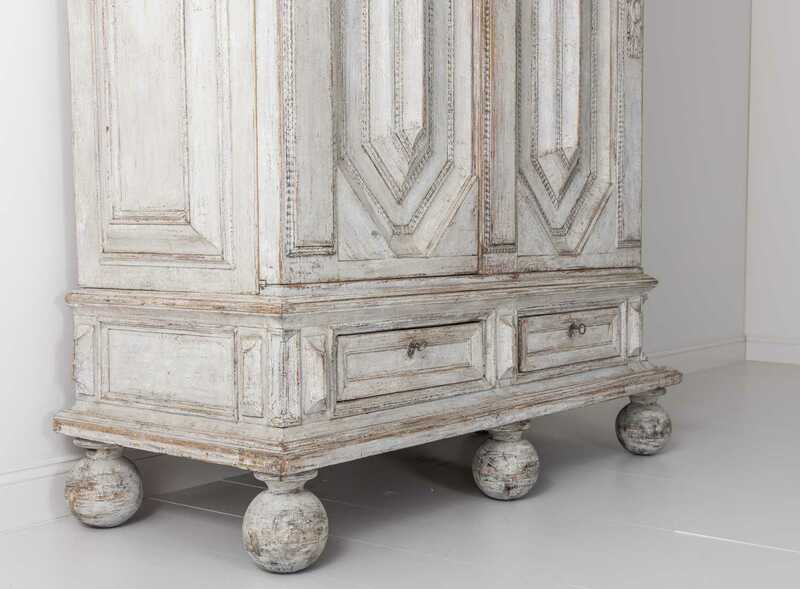 This is a rare piece with plenty of storage that will elevate any space. 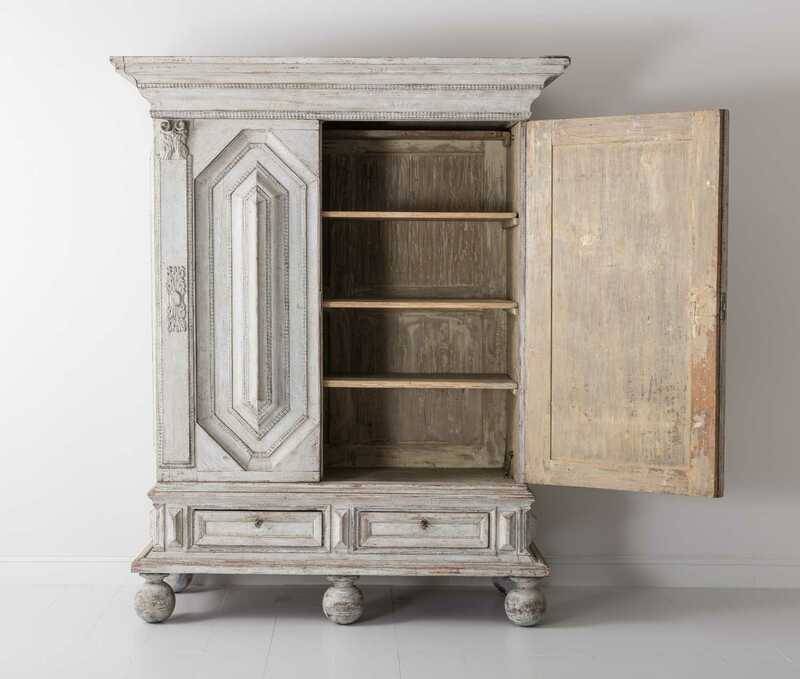 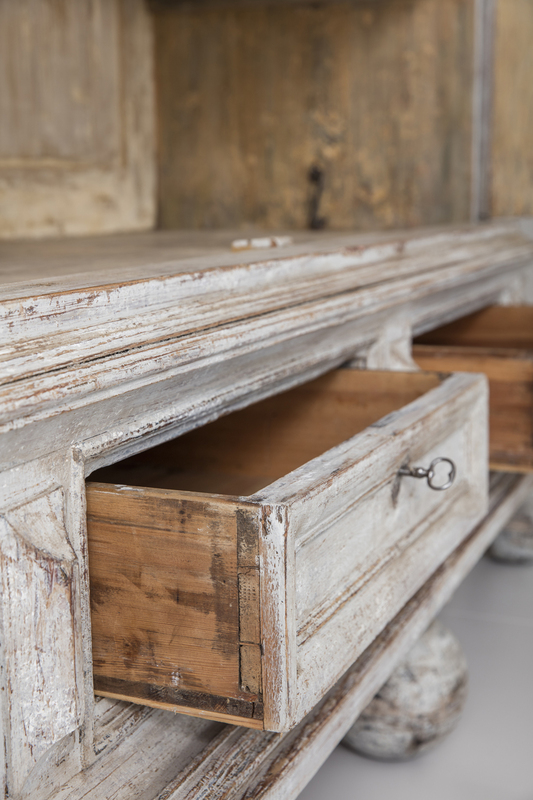 As often is the case with these fine 18th century pieces, the cabinet completely disassembles, which is brilliant and makes moving the cabinet very easy. 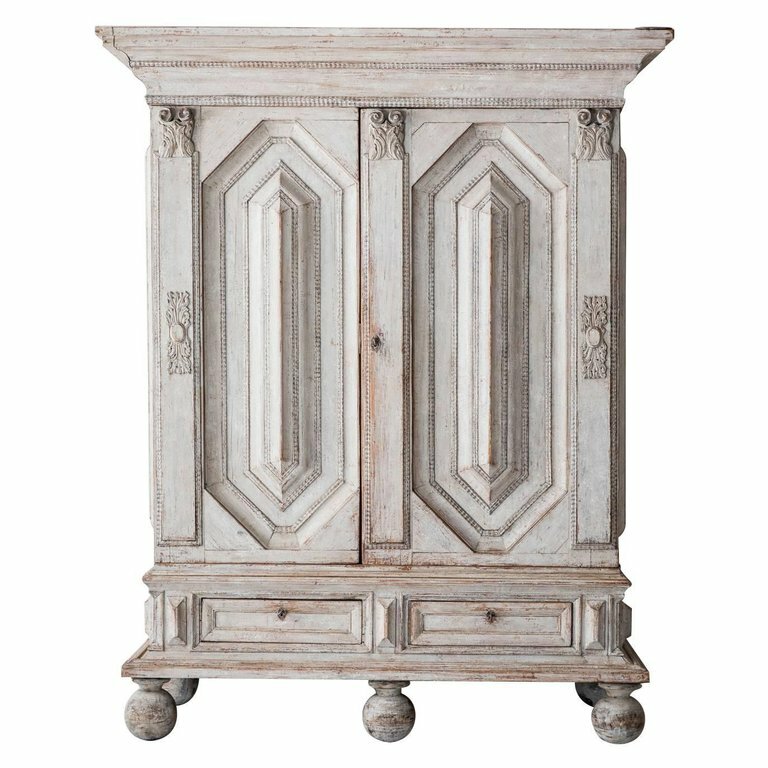 The cabinet is comprised of the top cornice, bottom drawer base, 2 sides, 2 doors, and back.